The Lock Screen prevents accidental usage of the device. 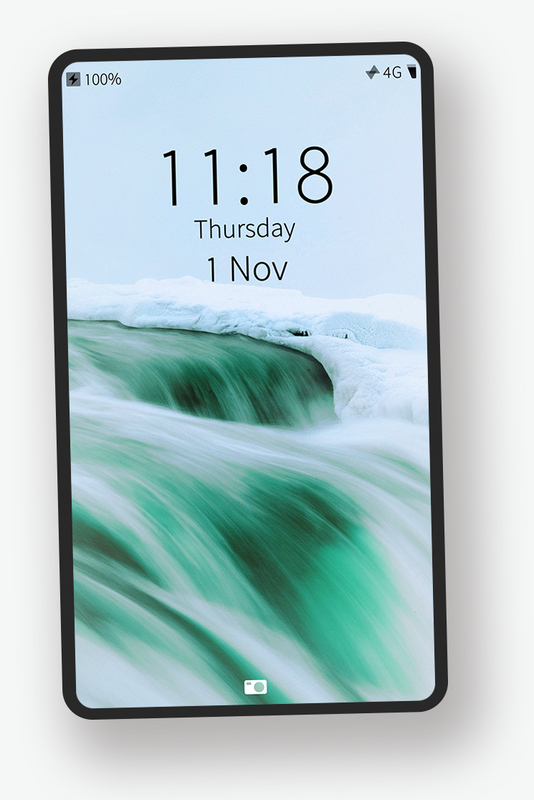 When the display is off, you can access the lock screen by double-tapping the display or by pressing the hardware power key. 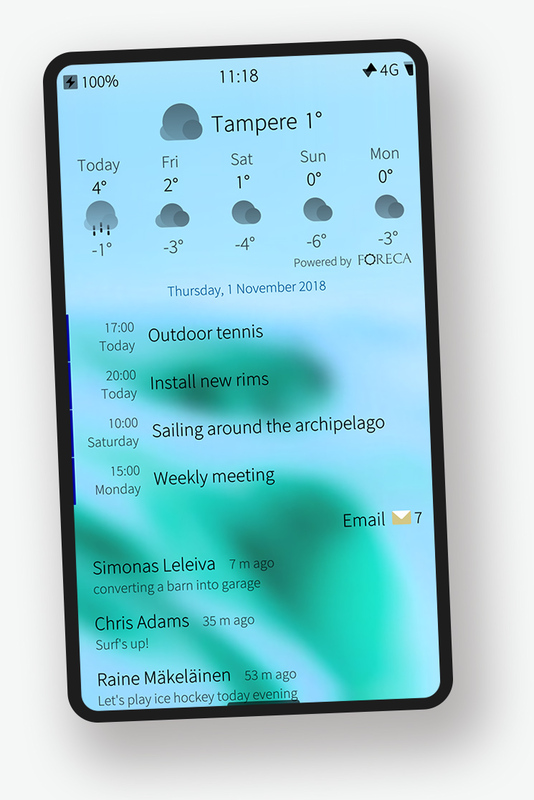 On the lock screen, you can see important items such as the time and date, notification icons and other system status information without needing to unlock the device. To unlock the device, perform a right or left Edge Swipe. At the top of the screen you can see important system status information such as battery and connectivity levels. You can see new notification icons on the left-hand side. 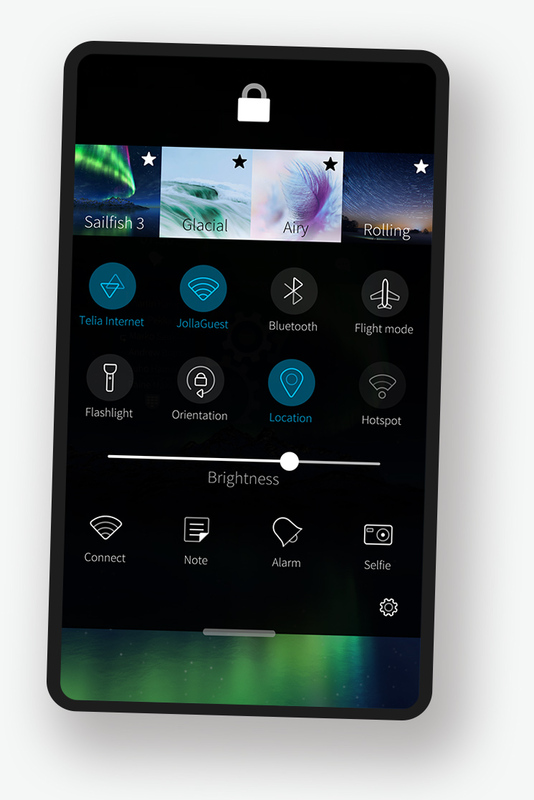 Home is the center of Sailfish OS. You always arrive here after unlocking the device and when minimizing or closing an app. This is where all open apps are displayed in minimized form as Covers. 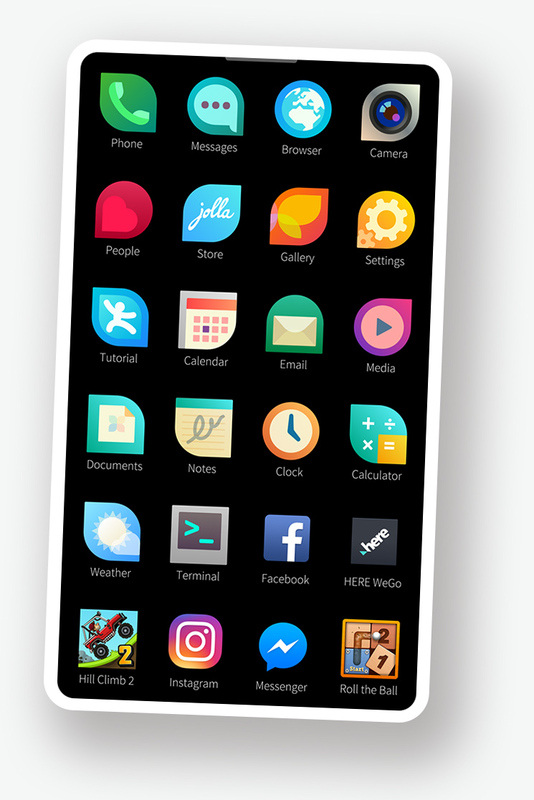 From Home, you can quickly switch from one app to another or use the embedded Cover Actions, which allow you to perform an action without leaving Home (only available in native Sailfish OS apps). In Home, open apps are arranged in opening order and apps don’t change place when you access them again. When the amount of open apps grows to be more than what fits to the screen, Home grows vertically. Covers can show key information of the app with a nicer layout than just minimized app view. The Cover Actions can perform a function right away without opening the app (e.g. Update, Play/Pause) or act as a shortcut to a most used sub view of an app (e.g. Search, New alarm). At the top of the screen you can see system status information such as battery and connectivity levels. Cover Actions can be found at the bottom of the covers. Tap the icon to start the action. Tapping anywhere else switches to the app. From here you can see notifications, weather and other relevant information. In addition, you can start quick actions and modify system state. Events is placed to the left of Home and thus can always be accessed from Home by swiping to right. You can easily check notifications and today’s upcoming events. Make quick changes to settings here without having to open the Settings app. Use Quick Actions to start new tasks. From the Top Menu you can lock the device, set the device to silent or switch to another Ambience. To access this menu, Edge Swipe from top from anywhere in the UI regardless of whether you are in Home, Events or even in an open app. Long-pressing the power key also opens the Top Menu; as well as switching between Ambiences, you can also switch off the device from here. The App Grid can be opened from anywhere in the UI with a bottom Edge Swipe, regardless of whether you are in Home, Events or within an open app. 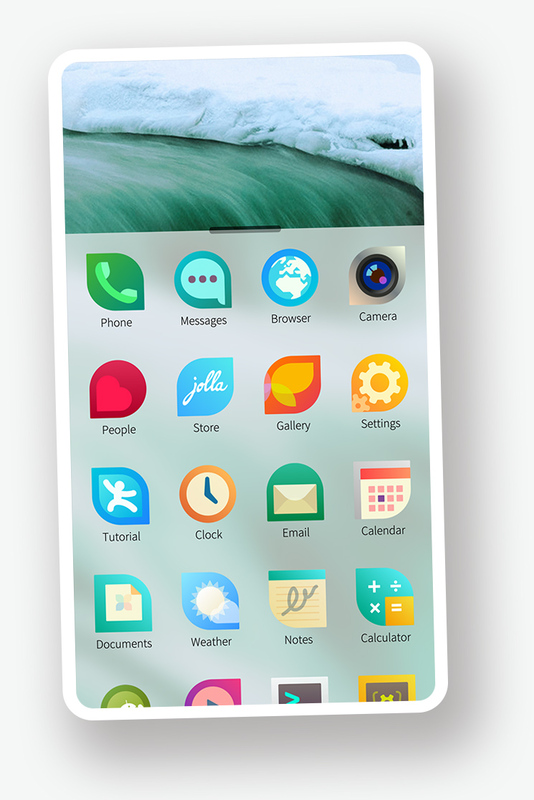 Apps can be rearranged, grouped into folders or deleted by long-pressing on any app icon. Then you can remove an app by tapping the small x, move an app by grabbing the icon and dragging it around or create a folder by dragging one app on top of another. When apps do not fit anymore to one page, more pages are added below.